The San Pedro Town Council has outfitted Central Park in downtown San Pedro, Ambergris Caye with equipment to provide free WiFi service to island residents. The ‘WiFi in the Park’ is a project launched between all the municipalities of Belize, along with Belize Telemedia Limited (BTL) in order for residents to stay connected and have an enjoyable time at the park. The internet service at the park is in an open access system with no password required to connect. Once you log into the “Welcome to GOB Wi-Fi” network you are required to accept the terms and conditions of the service. The terms include that a.) Guests will be limited to use of the service for 1 hour per day and b.) A maximum of 100 simultaneous users will be able to connect to the wireless network at any given time. The service is coming at no cost to SPTC and will be provided by BTL. Digicell provides access to cell phones now. For more on Digicell see http://www.digicell.bz. DSL is in and is priced below. There are several satellite carriers, Starband among them. Lots of wireless in San Pedro. Not citywide however. Cell phones have very good coverage across the entire country and you can now access the internet on your cell phone so it’s not a stretch to WiFi. If anything, Belize has kept up well on the wireless side, if access only cost what it did in the US. I’ve been all over the country from PG to Benque and BC to Corozal and out on the waters from North to South and have experienced very few outages. I even had friends working at the Caracol site that I was able to call as far back as 2002. I was even able to get access on the water from Livingston, Guatemala. Things have improved over the last few years. You need a GSM cell phone in Belize. T-Mobile and some of Cingular handle GSM. You’ll probably want to get a local SIM/Prepaid card. It’s cheaper than roaming on a US handset. You’ll also need to have your US carrier unblock the SIM connection so you can use the local one. live in PG and drive to Belmopan and Belize City alot. I lose signal about 4 miles outside of PG, pick it up again a couple of miles outside Independence. Lose it again and then no signal until just outside of Dangriga. Then I do not get signal until just before the roundabout into Belmopan. It is alot better if I bring my old bag phone, but is only good in the car as it is not portable. Areas between Belize City and Belmopan are much better, but once you get out towards Scotland Half Moon. Radius of digital signal is only about 5 miles radius of the tower. Lots of the country have no signal, except the major cities. 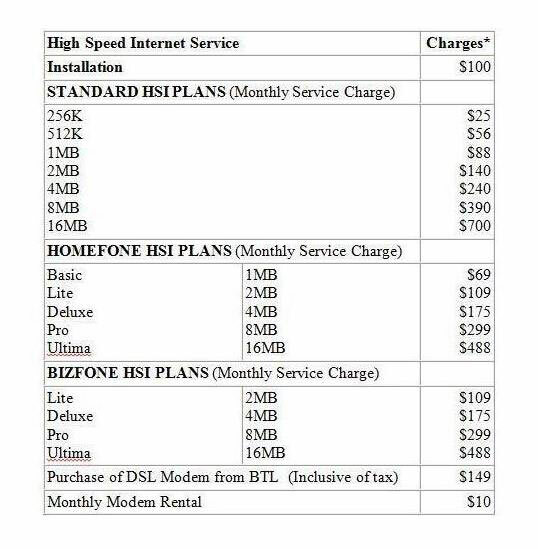 For home internet I opted for a standard 2MB plan at $130 BZD and I pay $39.99 BZD for 2 gigs worth on my nexus phone. That gives me a combined monthly bill of $179.99. I get bill notifications by text and email and I pay online using Atlantic Bank. If you are considering internet for your smart phone and you want to know how much data you should buy, click through to use the handy Digicell data calculator. By estimating how many monthly emails, social media posts, minutes streaming videos watched and songs downloaded you can get an idea of how many gigs you should get. 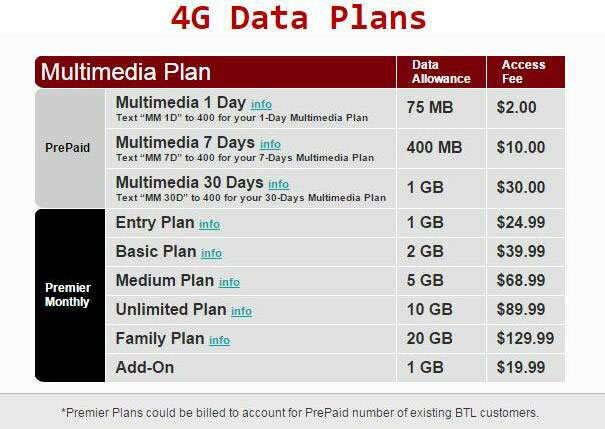 Click through for more Digicell plans and pricing. If you need internet while on vacation and are good with your phone most businesses will share their password, you can also get 1h per day free at Central Park in town. There are also a few internet cafe’s that charge by the hour, should you need a sit down computer option. Posted : Marty Casado - Fri, Feb 23, 2007 5:49 PM. This article has been viewed 28149 times.